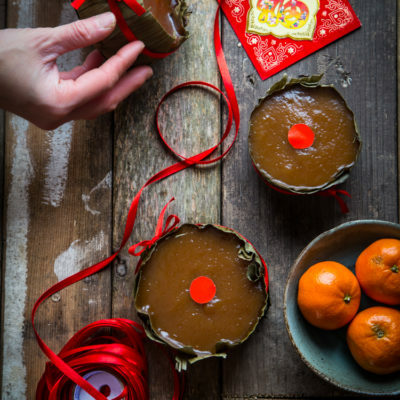 Learn how to make this traditional Chinese nian gao recipe with steamer, slow cooker, or Instant Pot pressure cooker. This recipe is so easy and no fuss. Having some kue bakul or known as nian gao in Chinese around the house for lunar new year celebration is not unusual in our house and I know for many others too. Like I’ve mentioned before, lots of Chinese food carry auspicious meaning. 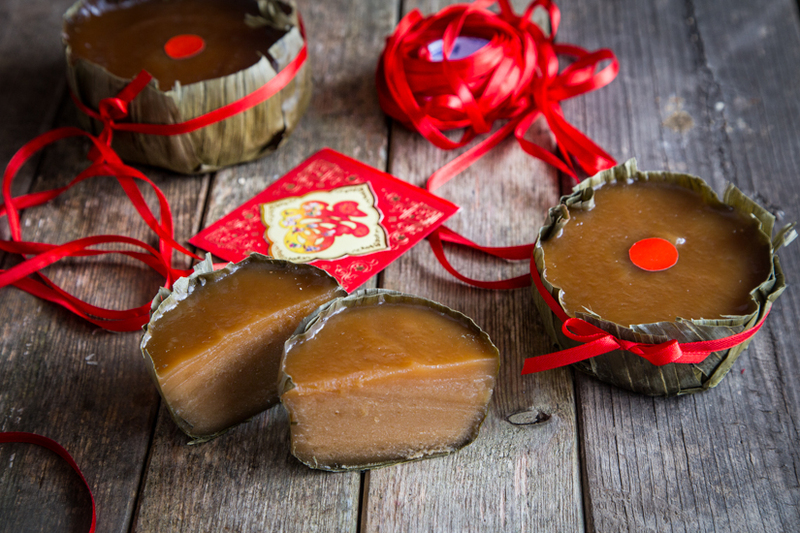 The reason many people wants to have nian gao for lunar new year celebration because they want a “higher year”. By just saying the word “nian” means “year” and Gao means “high/tall” in this context. I think you can see what I’m trying to say here. 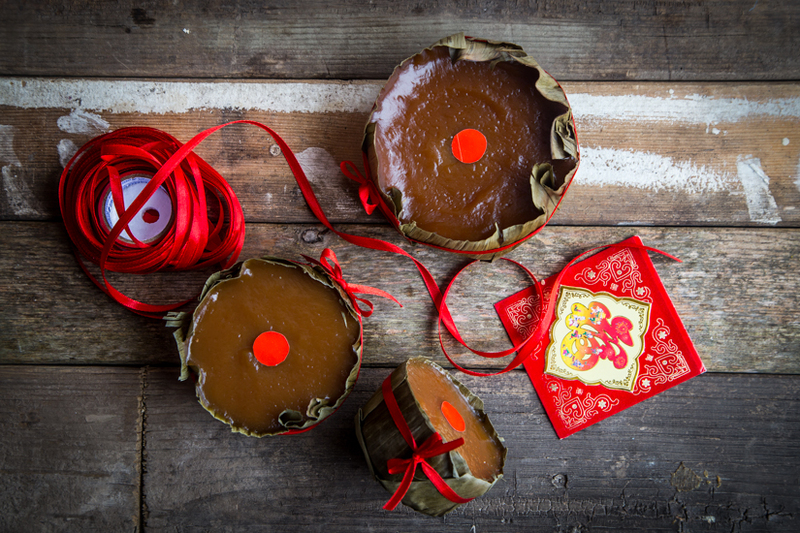 Nian gao symbolizes a high year, an increase in prosperity 🙂 We simply call it “ti kue” in Hokkien, which means sweet cake. 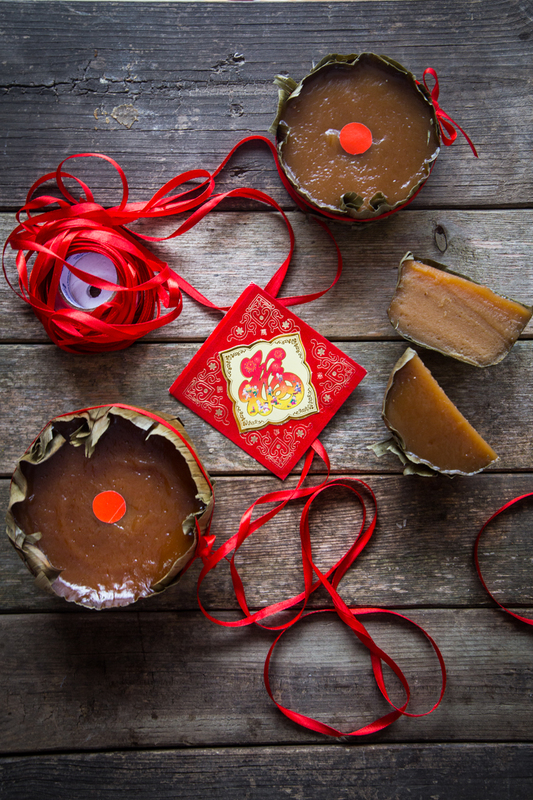 WHAT’S THE STORY BEHIND NIAN GAO? Basic nian gao only needs 3 ingredients to make: glutinous rice flour (sticky rice/sweet rice flour), sugar, and water. 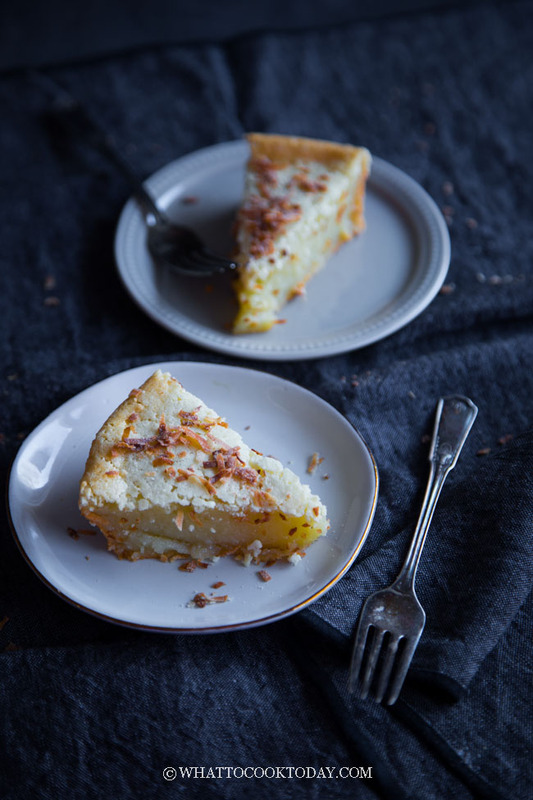 This recipe is completely naturally gluten-free. The three are mixed together and then steamed until it’s cooked through. I recommend aluminum-based pan because they cook faster compares to when I use a round glass dish. For 6-quart or larger pressure cooker or steamer, I recommend this aluminum round cake pan. It’s 7 inches in diameter and 3 inches in depth, which is perfect. For slow cooker, you need something smaller to fit into the slow cooker. I recommend this 3×3 or 3×2 aluminum round cake pan. You may need 2-3 of these, depending on how big your slow cooker is. 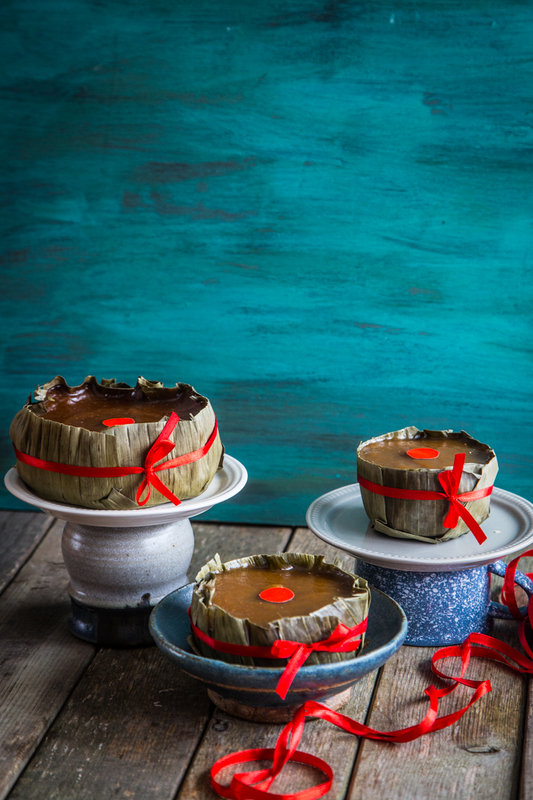 HOW TO STORE AND REHEAT NIAN GAO ? 4. If you are going to cook them with eggs, follow this Pan-fried Nian Gao with Egg recipe. 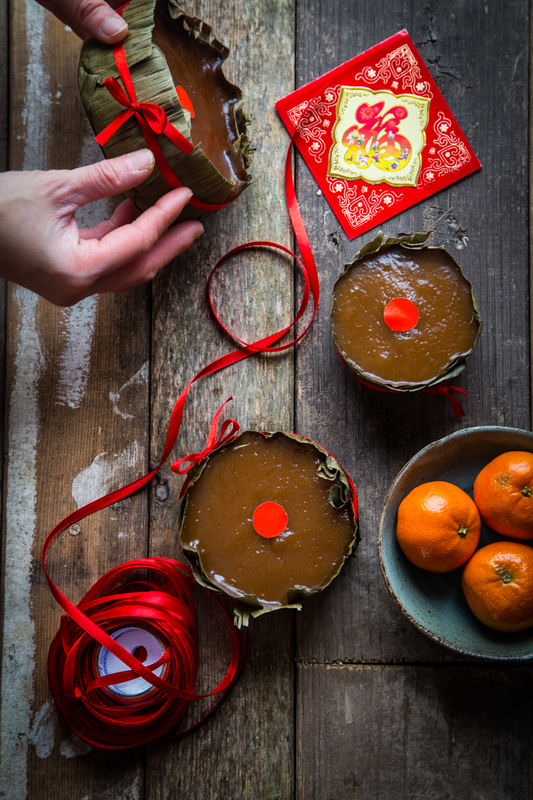 But another reason why I wanted to make this nian gao is simply because I want my kids to know about this tradition. Yes, they are 5 and 2 years old! A bit young to understand much, but my 5 year old described it as “squishy, mushy, and delicious” ha..ha…!! I don’t think they are mushy, but hey…I’ll take the delicious! 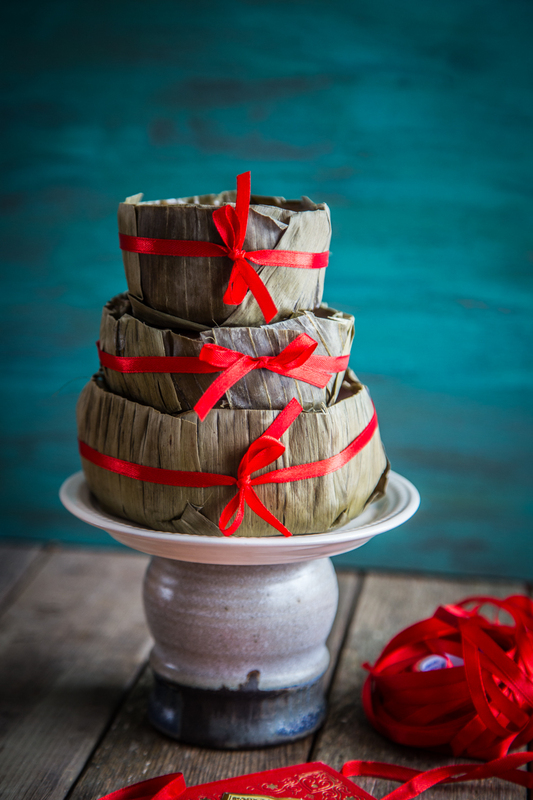 My mom usually cut some red paper to put on top of the nian gao and usually on fruits too. The Chinese love red for an important celebration like Chinese New Year 🙂 You can put red dates/jujube in the middle of the cake too. 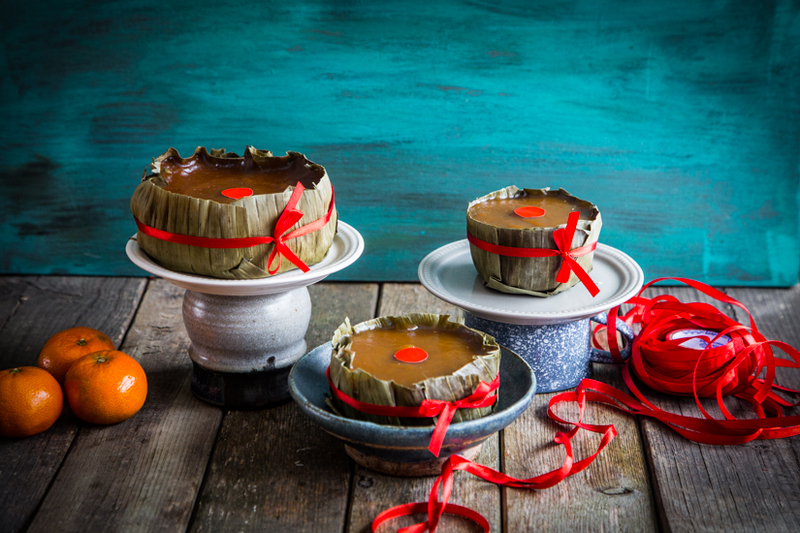 If you don’t want to do this traditional steamed nian gao, you MUST try this Baked Chinese New Year Sweet Nian Gao. So much easier and well-loved by my hubby and kiddos too. ha..ha…I know Linda !! I just love the stories when I was a kid. Marvel, itu pake gula merah( gula jawa/aren ) kah ? Hi Elly, Ini gw bukan pake gula merah sih, gua pake gula putih biasa terus gua panasin jadi caramel gitu. Mau pake gula merah juga boleh. Tapi warnanya surprisingly ngga gitu coklat kalo pake gula merah. Thank you Franklin. I’m glad you like and thank you for letting me know.